Communities once ravaged by Hurricane Sandy are now fighting the Northeast Supply Enhancement pipeline. 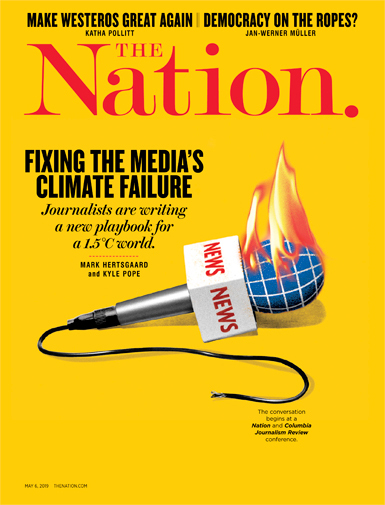 When Hurricane Sandy tore through New York City in 2012, flooding entire neighborhoods, knocking out electricity, and decimating the shores of Staten Island, Queens, and Brooklyn, few New Yorkers were downplaying the significance of climate change. They had already lived through what they hoped was the worst of it. It’s understandable, then, that New Yorkers are not looking kindly upon a new fracked-gas pipeline that’s proposed to snake its way mere miles from the same areas hardest hit by Hurricane Sandy. Banding together in a coalition of environmental groups and local communities, they are now organizing to prevent the construction of the Northeast Supply Enhancement pipeline. Developed by Williams, a publicly traded, Fortune 500 company, the NESE is proposed to span Lower New York Bay, from Sayreville, New Jersey, to the Rockaways in Queens. The project would be an extension of the existing Transco pipeline, which stretches from Texas to New York. There is already one segment of the Transco that crosses Lower New York Bay, just south of where the NESE is slated. “Unfortunately, due to the growing popularity of gas, the existing pipeline operates at maximum capacity,” says Chris Stockton, a Williams spokesperson. Williams contends that the NESE is necessary to feed New York’s growing energy needs, particularly in light of the city’s oil-to-gas boiler conversion program. Under a 2011 law, buildings in the five boroughs must switch their heating fuel from soot-producing oils to relatively cleaner alternatives, such as gas, by 2030. This environmental initiative, Williams insists, has created demand that surpasses the capacity of the existing Transco pipeline; thus, the NESE is necessary to increase supply to providers like National Grid, which fills residential, commercial, and industrial gas needs in Staten Island, Queens, and Brooklyn, as well as Long Island. To corroborate that 6 percent figure, Fraczek points to an assessment commissioned by the city itself. Similarly, in comments to the Federal Energy Regulatory Commission, National Grid states that it needs only a 10 percent increase in gas supply to cover both New York City and Long Island. The NESE, on the other hand, would increase capacity by more than 64 percent. Fraczek accuses Williams of looking to capitalize on the construction of an unnecessary pipeline through legal loopholes, rather than meeting the genuine needs of New Yorkers. The Federal Energy Regulatory Commission, which is responsible for regulating pipeline construction, established a guaranteed 14 percent return on equity for developers in 1997–and, despite the passing of more than two decades and the halving of interest rates, has not changed that figure since. Aside from being unnecessary, Fraczek underscores both the immediate and long-term environmental damage the pipeline will cause. The NESE is set to run through Gateway National Recreation Area, a sprawling federal park comprising protected areas in Jamaica Bay between Brooklyn and Queens, the southeastern shore of Staten Island, and Sandy Hook, New Jersey. Gateway was created by an act of Congress in 1972, after Lower New York Bay was found to be “one of the largest grossly polluted areas in the United States.” New pipeline construction is bound to kick up industrial pollutants that have since settled on the seabed, reintroducing them to waterways, beaches, and wetlands where people swim, fish, boat, picnic, camp, and more. In the longer term, the NESE will, of course, contribute to climate change. Although it is often touted as a “clean” alternative to oil, fracked gas is primarily methane, which is 100 times worse as a greenhouse gas than carbon dioxide. 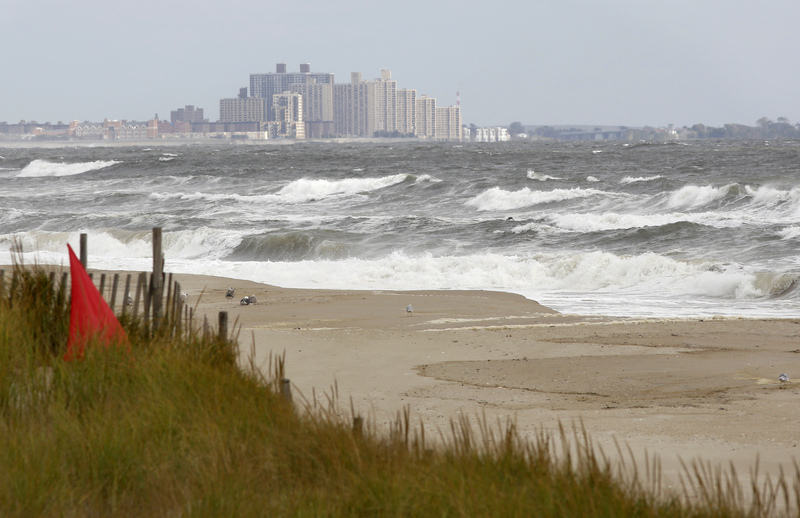 Burning an additional 400 million cubic feet of gas each day, as the NESE would provide, will accelerate climate change, thereby subjecting the same shoreline communities hit by Hurricane Sandy to further natural disasters. Unsurprisingly, the communities most at risk are not letting the NESE pass without resistance. The Sane Energy Project is one of eight environmental groups, including the Surfrider Foundation and Food & Water Watch, that has been working with local residents from across New York and New Jersey to form the Stop the Williams Pipeline coalition. Together, coalition members have been holding community meetings to educate their neighbors and build opposition to the NESE. And already, they’ve had some success: Following a pressure campaign targeting New York Governor Andrew Cuomo, the State’s Department of Environmental Conservation denied Williams a water permit in April, effectively stalling construction. Now the coalition is awaiting the Federal Energy Regulatory Commission’s “Environmental Impact Statement,” as well as the agency’s decision on whether or not the NESE will be allowed to move forward. During the public-comment period on the statement, coalition members flooded FERC with 6,000 complaints about the project, but the outcome is still far from certain. The decision will ultimately be made by the agency’s five commissioners–four of whom are Trump appointees, the fifth being an Obama appointee who was previously CEO of National Grid. The decision is expected to come down by September 17. Should the FERC come out in favor of the NESE, the fight won’t end there. The Stop the Williams Pipeline coalition is continuing to hold community meetings and collecting signatures on a petition to present to Governor Cuomo in the fall. If those formal channels fail them, some are also ready to take direct action. In the past, on their own personal time, members of the Sane Energy Project have blockaded roads used to transport material, chained themselves to equipment, and even locked themselves inside pipelines to prevent construction.